← Swimming the St Mary ! 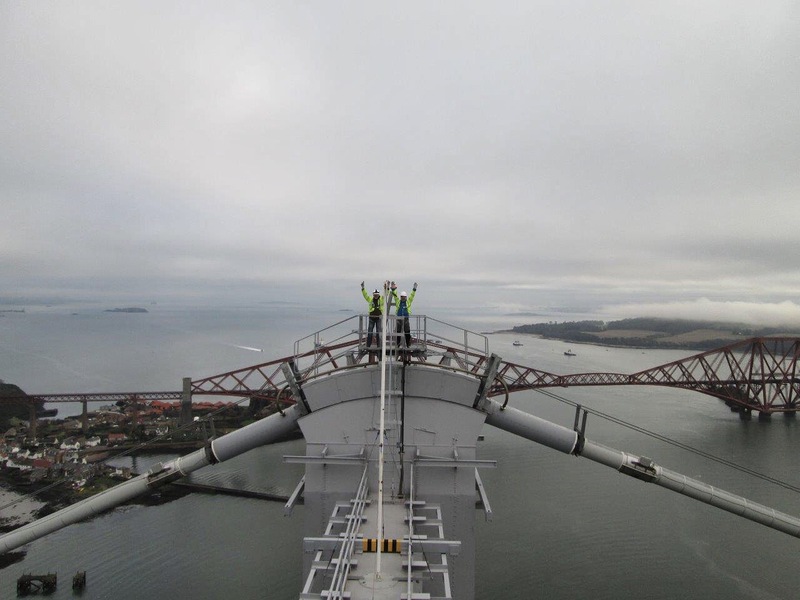 Climbing the Forth Road Bridge …..
Tam was ringing my phone, maybe he had another bag of 20 oz sirloin steaks ? I better answer I thought ! 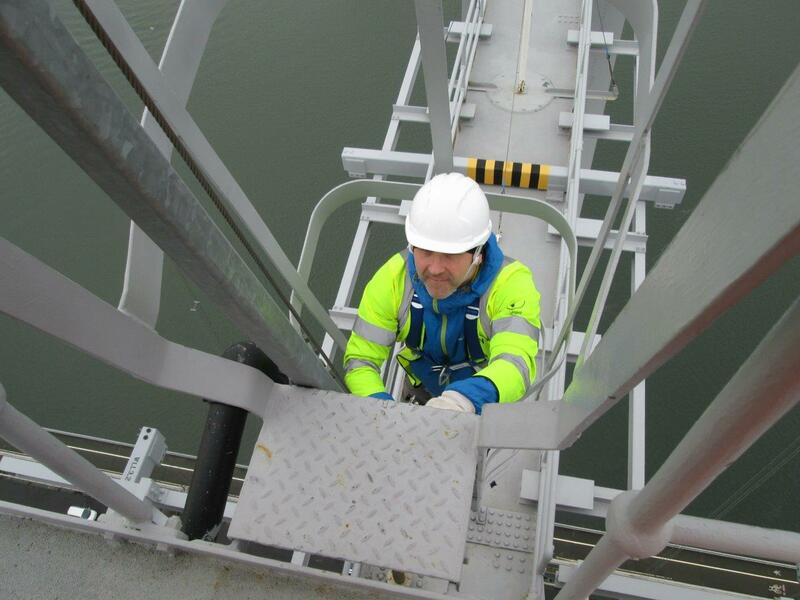 😀 😀 ….. Hey Mark fancy climbing to the top of the Forth Road bridge he says … , Sounds good I said !! up there ? Aye right up there ! Up we went until it stopped and we had to climb a long long 90 degree ladder to the top , strenuous work but eventually we reached the top hatch and daylight ! We exited on the bridge and what a view !! WOW WOW WOW !! 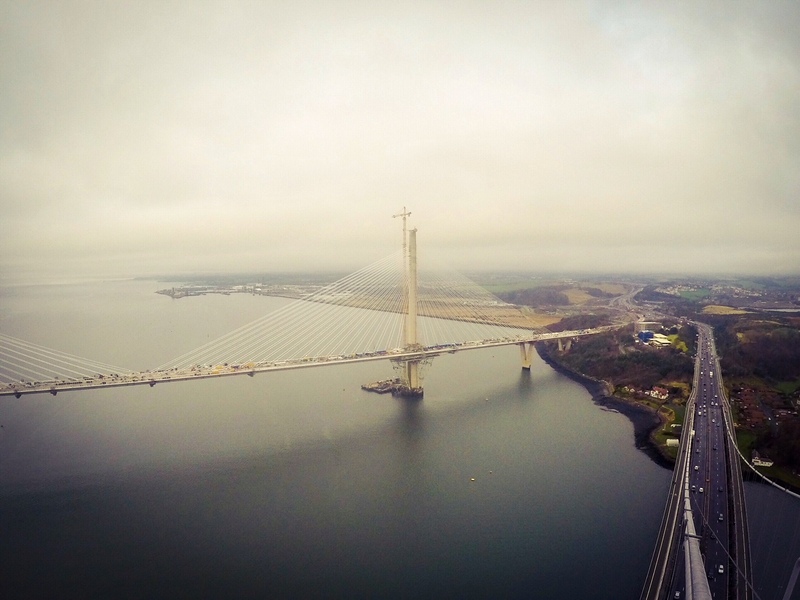 we were looking down on EDinburgh, Fife , North and South Queensferry , all the surrounding are and best of all the 2 other bridges , the classic Rail Bridge and the New bridge which is approaching completion. Tam and I felt like we were eye to eye with the crane drivers working over it. Watching the traffic, both cars and Boats was mesmerizing and the shudder every time a lorry crossed under us a little unnerving ! WE were also able to see the HMS Queen Elizabeth the huge aircraft carrier being built further up the Forth. Next stop , the very top! 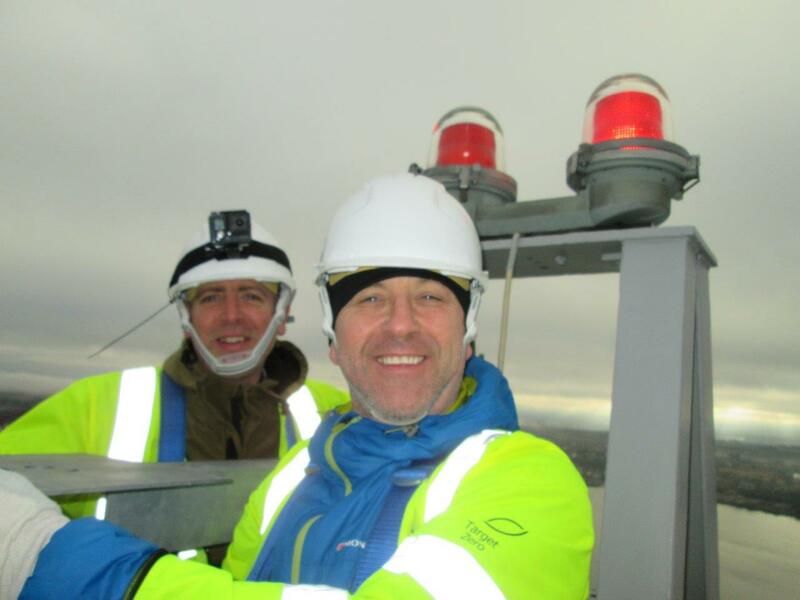 Davie was happy we could handle it so we headed up the final ladders to he birds nest , the pinnacle of the main towers where the aircraft beacons were. 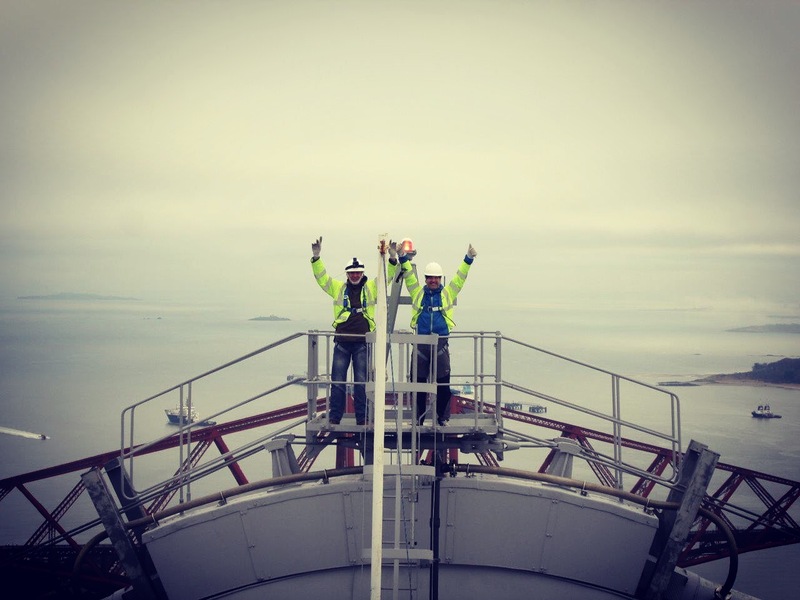 We were flying high today , more than 500 feet above the Forth to be exact! The Very Very top !!! 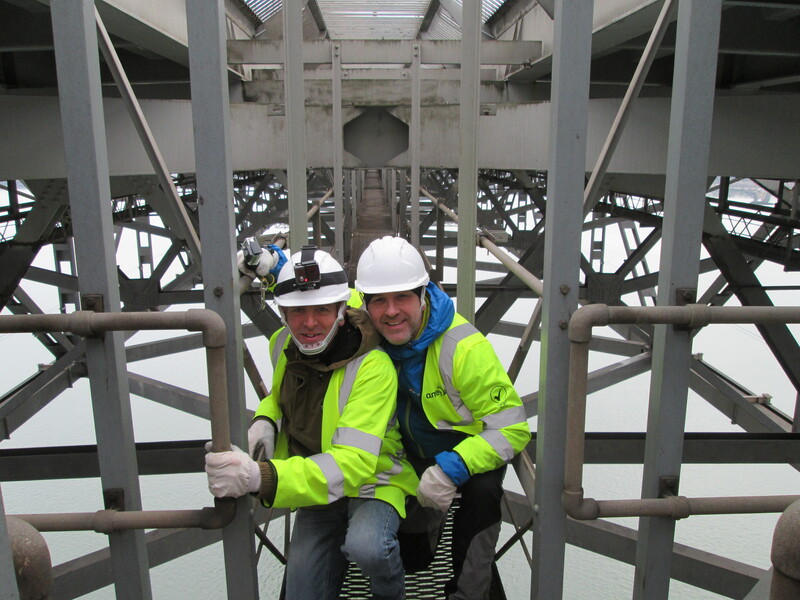 We hung around up top taking in the view and listening to Davie telling us all about his experiences with the bridge. All too soon it was time to go down but there was a surprise awaiting us, a visit to underneath the bridge ! The Forth Road Bridge is a long span suspension bridge which when opened in 1964 was the largest in the world outside the United States and, together with the approach viaducts is a little over 2.5 km in length. The bridge has a main span of 1006 metres between the two main towers. 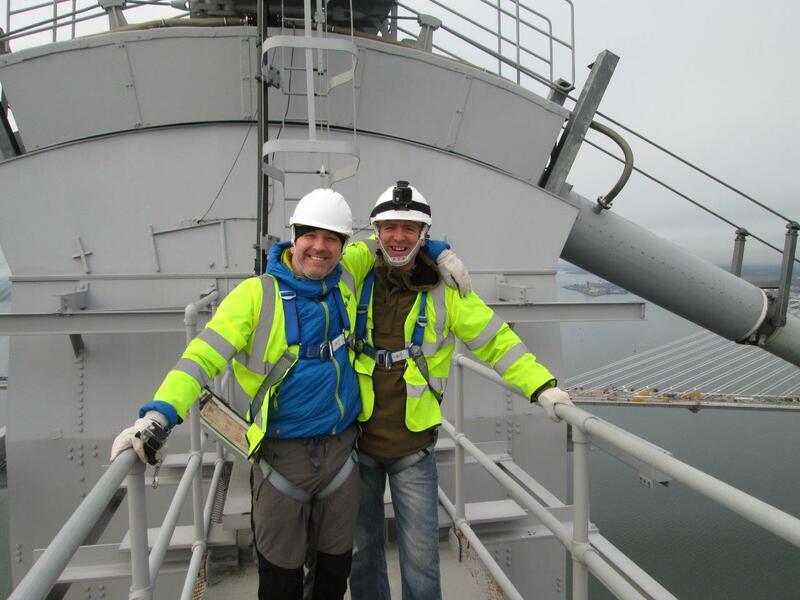 The side spans which carry the deck to the side towers are each 408 metres long. The approach viaducts are 252 metres and 438 metres long on the north and south sides respectively. The two main aerially spun cables from which the suspended deck is hung are 590 mm in diameter, and each is made up of 11,618 high tensile wires with a 4.98 mm diameter. The suspended deck is made up of a steel stiffening truss, with three longitudinal air gaps at roadway level to improve aerodynamic stability. The main cables are anchored at each end to take the 13,800 tonnes of total load in each cable. These anchorages are concrete, cast in tunnels of tapering section, cut into rock at an inclination of 30º to the horizontal. The tunnel lengths vary between 56 and 79 metres. 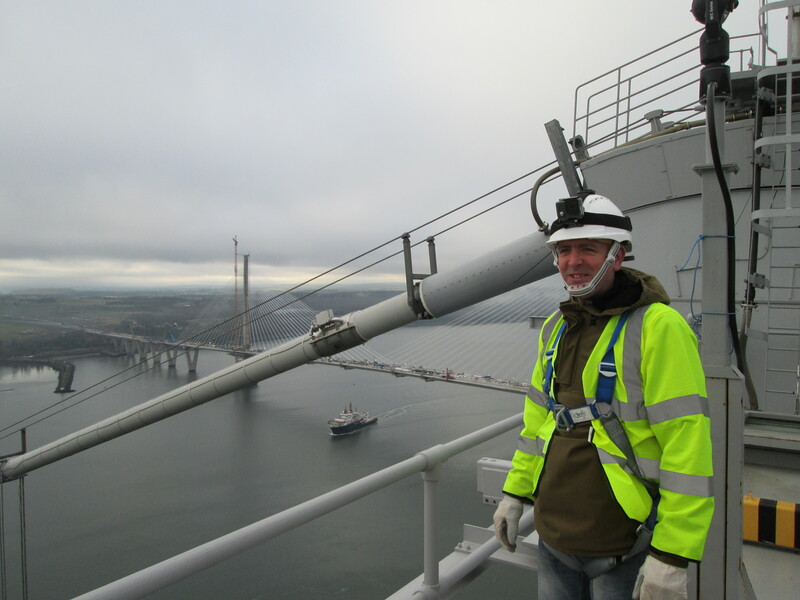 The suspended span decks are hung from the main cables by 192 sets of four hanger ropes with diameters of 44.5 and 52.4 mm. These hanger sets take loads of 176 and 224 tonnes. Between 1998 and 2000 all these hanger sets were replaced without interruption to traffic. The deck on the main and side spans carries traffic loadings to the main cables via the hangers and does not contribute significantly towards the resistance of the truss to global effects. On the main span the deck is an orthotropic stiffened steel plate. However, on the side spans the deck is of composite construction with a 200 mm thick reinforced concrete slab on steel beams. On all the suspended spans the surfacing is limited to a thickness of 38 mm. The pier from the north tower was sited on the Mackintosh Rock, a whinstone outcrop that made an ideal foundation. The south tower was located about as far from the shore as the depth of bedrock would allow the construction of a foundation with compressed air working. 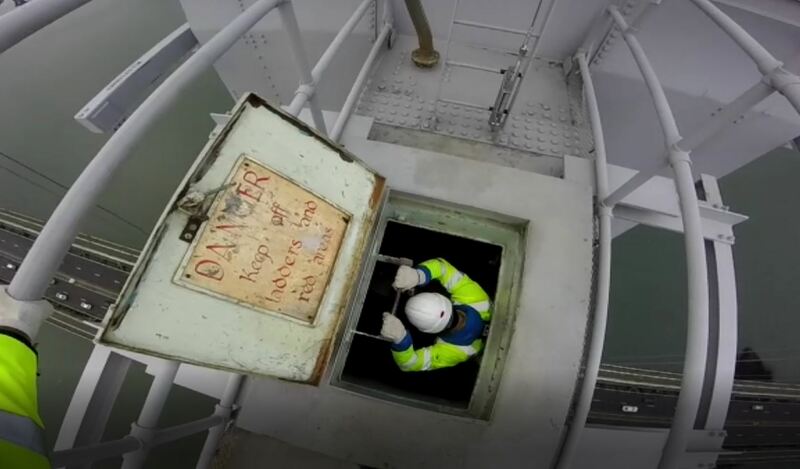 Caissons were used to enable the pier to be founded on sandstone some 32 metres below high water. 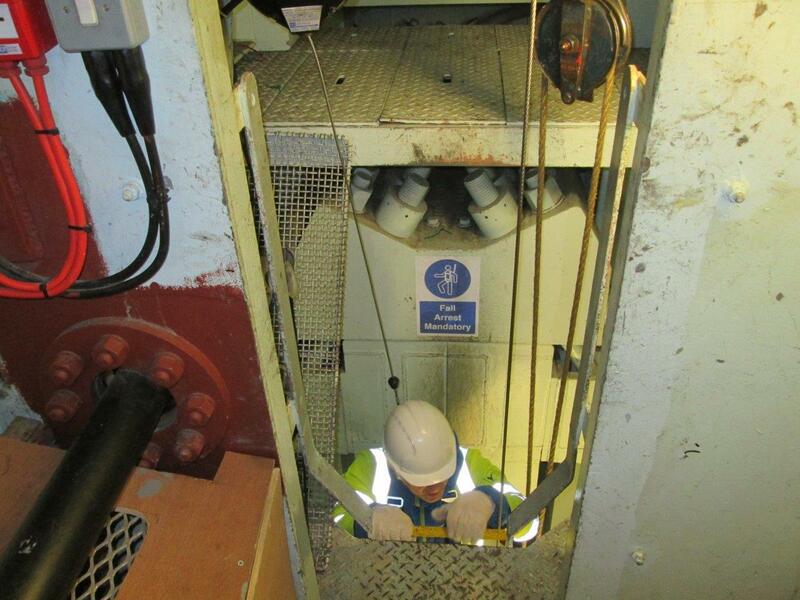 Pier defences were constructed around both piers in the late 1990’s to withstand collision loads from shipping. The main towers are of welded cellular high tensile steel construction and rise up over 150 metres above high water level. The maximum thickness of the steel in the towers is about 25 mm. These towers were strengthened in the late 1990’s to take the ever increasing weights of heavy goods vehicles crossing the bridge. The approach viaducts are significant structures in their own right. Reinforced concrete piers support a continuous deck structure that consists of twin steel box beams with transverse beams and outriggers having a reinforced concrete composite deck slab and 38 mm surfacing. The traffic loading on the bridge is now significantly higher than expected by the engineers who designed the structure in the 1950’s. This has been due to the increasing weight and number of heavy goods vehicles on UK roads. A large capital programme to strengthen the bridge to take these increased loads is continuing.